Successfully represented a federal government regulatory agency in seven appeals, including one to the 11th Circuit Court of Appeals. Obtaining a summary judgment for a lender in a mass-plaintiff, mass defendant real property fraud suit in U.S. District Court that sought $18M in damages. Obtaining over 125 summary judgments in commercial property foreclosures for a federal government regulatory agency. Successfully represented an international commercial tenant in an eviction and damages action in U.S. District Court. Successfully represented condominium developers in suits seeking return of pre-construction deposits. Prosecuted claims against former employee of engineering company for misappropriation of trade secrets and violations of the Computer Fraud and Abuse Act and Stored Communications Act. Defended a claim for breach of contract for and prosecuted claim by manufacturer of beauty products for breach of non-disclosure agreement due to the misappropriation of proprietary business information and trade secrets. Larry is the managing partner of the Ft. Lauderdale office and serves in the firm's General Commercial Litigation practice group where he focuses in several areas such as: business and commercial litigation, shareholder and partnership disputes, class action defense, product liability defense, RICO litigation, director and officer liability litigation, maritime related litigation, construction litigation, probate and trust litigation and bankruptcy and creditors' rights in the government and public sector, manufacturing and real estate, maritime, and development industries. Larry is an experienced trial lawyer with a broad-based, complex business litigation practice representing medium and large closely held and Fortune 500 companies and federal financial regulatory agencies. 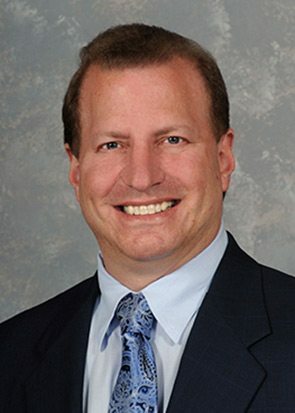 He has considerable experience in handling commercial creditor litigation, RICO litigation, construction lien and construction defect litigation, class action defense litigation, maritime related litigation, product liability defense, shareholder and partnership disputes, real estate, banking, fraud, probate, trust and bankruptcy litigation. Larry is active in numerous trade associations, including the Marine Industries Association of South Florida and The United States Super Yacht Association. Additionally, Larry is active within his community. He serves as chairman of the Planning and Zoning Board of the City of Parkland. He is also a past president and director of the Soref Jewish Community Center in Plantation, Fla. and past director of the Daniel D. Cantor Senior Center and the Broward Jewish Federation.